That's a bad title and it should feel bad. Actually, it sounds about right if it has a significant plot about everything Luke has done since Return of the Jedi, particularly since Kylo Ren's little... episode. Sure, but does that mean there won't be any more Jedi after Rey? Ever? More over, I've heard implications that the last Jedi is Luke. Which means he won't train Rey or anyone else to be a Jedi. Or he will train them to be something else. Something outside the Jedi/Sith, Light Side/Dark Side split. When you see what the Force has done to his family, especially recently, it could be not surprising that he's less than eager to try again to pass on the knowledge. Of course, the title may not be entirely accurate. Some Jedi did escape and go into hiding after the Clone War. And some did eventually take on students. We don't know what happened to Kanan and Ezra from Rebels at this point in time. Both are still of an age where they could be alive though. And even if nobody is passing on the traditions of the Jedi, that doesn't stop Force sensitive people from being born. Uhmmmh ... that title sounds vaguely familiar? I'm just wondering if it means the end of the Jedi Order as it was, with Luke essentially being the end of that line and the birth of something different. Leaves me wondering if this will also see the end of Kylo 'The Whiner' Ren and Snoke as the last of the Sith side of that as well. Wait a sec - what is the plural of Jedi? Soooooooooooh - Why should 'The last Jedi' refer to a single Jedi? Holy cow. 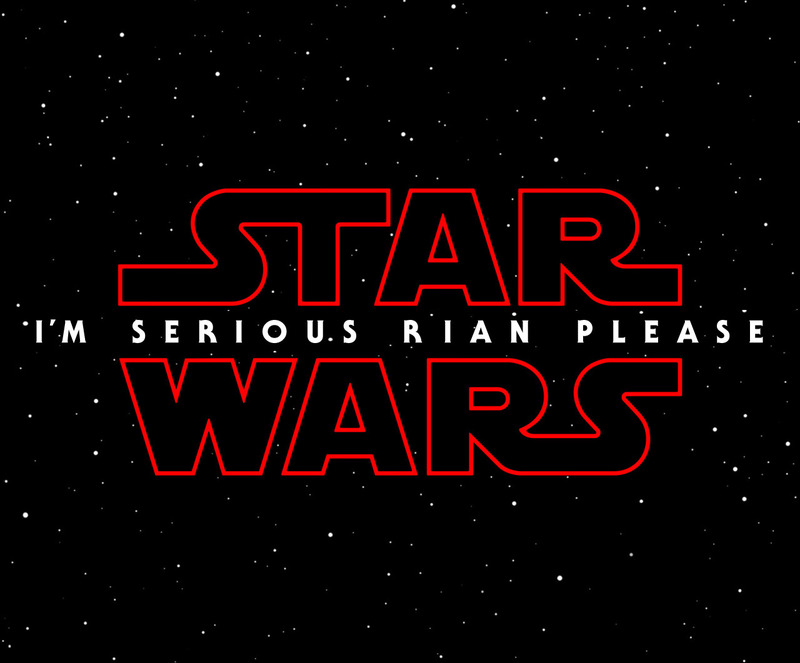 Greatest Star Wars film title yet. Shut up and take my money already. Soooooooooooh - Why should 'The last Jedi' refer to a singleJedi? It could also refer to the end of the Jedi philosophy. If Anakin Skywalker destroyed the Sith, maybe his descendants are meant to destroy the Jedi and end the cycle of destruction and rebuilding that has plagued the galaxy. Kylo Ren isn't a Sith, he's something else. Maybe Rey and Finn are meant to become something other than Jedi as well. Luke's just mean to be the last one to pass on the foundation to them. Kylo Ren may not be a Sith, but Snoke? Leaves me wondering if this will also see the end of Kylo 'The Whiner' Ren and Snoke as the last of the Sith side of that as well. I think it is highly significant that Snoke and Kylo Ren do not use the 'Darth' prefix traditionally used in 'Sith' names. Whilst they're darksiders, they're not Sith. They don't follow the teachings of Darth Bane or trace a lineage to the rediscovery of the arts of Korriban. The Sith are already extinct and the entire Star Wars saga be an extended story about how Force Sensitives moved past from the old era of the traditions drawing a line back to the ancient orders of Jedi and Sith and have to find a path forwards that does not have that bloody baggage tangled around it. It might be interesting if the Bendu turned out to be right - that the antagonism between Jedi and Sith ultimately leads to both traditions' extinction. Nah, it'll be in keeping with the similarities between the original and prequel films. But on the plus side, we'll also probably see a bounty hunter and some battle scene involving walkers. And C-3PO will probably get dismantled. This isn't strictly the correct thread, but stuff it. Hopefully existing footage and not the odd CGI stuff they did in Rogue One. I can't see how it could be anything else but CGI, Fisher had barely finished principal photography on The Last Jedi at the time of her death. There's talk about her daughter stepping in for at least part of the role and then digitally altering her to resemble Leia. Just to allow Carrie Fisher the dignity of giving her and her most famous role a proper send-off and not just saying the Leia has passed away. After months of speculation about Carrie's future in the sci-fi saga, Todd has revealed that Disney bosses want to bring Princess Leia back for Episode 9. And he said he and Carrie's daughter, Billie Lourd, have granted the studio rights to use recent footage for the finale. It is understood that CGI will not be used to recreate Leia. "It's time for the Jedi to end"? - Interesting idea. Reminds me a bit of the dialogues around the decision to exile Luke made in "Outcast" of the Fate of the Jedi-cycle. 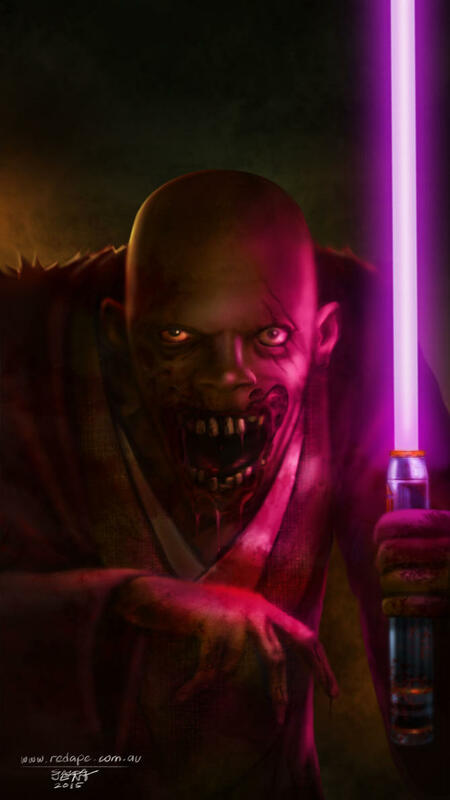 Even the Sith descended from exiled Dark Jedi - so from a certain point of view (Ha!Ha! ), all the destruction caused by any dark-side force user is tied to the Jedi. For sure, force-sensitives will still be born if the Jedi are gone - but the knowledge that the Jedi have about using the force would not be available to them. Dark siders would no longer have Jedi-training they could use as a "stepping stone" - they'd have to start from scratch again. If Anakin Skywalker destroyed the Sith, maybe his descendants are meant to destroy the Jedi and end the cycle of destruction and rebuilding that has plagued the galaxy. Kylo Ren isn't a Sith, he's something else. Maybe Rey and Finn are meant to become something other than Jedi as well. Luke's just mean to be the last one to pass on the foundation to them. Duct tape, which has within a single strip both a light side and a dark side. Sorry I posted bad info. How do you break the Jedi/Sith Cycle? Last Jedi singular or plural? 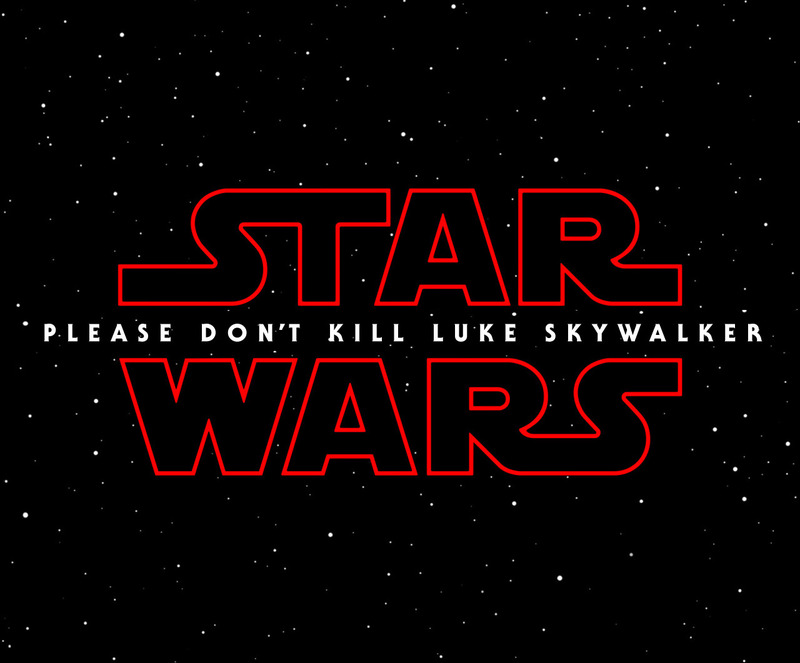 The official SW 8 titles in French, Spanish and German translate as "The last Jedi (plural)", seemingly clarifying the confusion. The German title e.g. is "Die letzten Jedi" (plural) as opposed "Der/Die letzte Jedi" - since German is an inflected language, it would be impossible not to specify singular/plural (and gender, if singular) in the title - it's not just pronouns, everything is gendered. However, director Rian Johnson said that in his mind it's "last Jedi", singular. Which could mean ... anything, really (I mean: He's only the director, wtf does he know ...?). For forumites that can read Kraut: http://www.filmstarts.de/nachrichten/18511798.html The article also mentions that there was similar confusion prior to ROTJ's release in December '83: Its German title is "Die Rückkehr der Jedi-Ritter" - i.e. "Return of the Jedi-Knights" - so they got a little smart with the audience back then: while arguably, it did feature two Jedi (Luke and Yoda), the movie never showed more than one living Jedi at any given time. The German plural may also hint at another 'deception': Assuming there's really only one Jedi in the movie, choosing the singular form for the title would then have forced them to specify the gender of that last Jedi - either "Der letzte Jedi" (male) or "Die letzte Jedi" (female) - making it a major spoiler (So maybe there really is just one Jedi left (Luke), and Rey is something else, but Disney Germany went with the plural to avoid spoilering). 2) Rey will never train an apprentice of her own in the traditions of the Jedi. To me, it all fits into this implication that the Jedi-Sith conflict is drawing to a conclusion. It's going to be a draw with something new rising up from their combined ashes. Something to do with the Balance. I wonder... Will the Bendu play a role in the outcome to all this? Some people are asking if Rey will be a 'Grey Jedi' but the point is that a Jedi is a disciple of the Light as a Sith is a disciple of the Dark. The followers of the Grey Path seem to use the name 'Bendu'. I wonder if Maz Kanata may be a Bendu adept too. Some things she said in The Force Awakens suggest to me that she has hidden depths. I won't stop expecting Mace Windu to show up in some form until the end credits roll on Episode IX. Now that would be a hell of a Plot Twist. 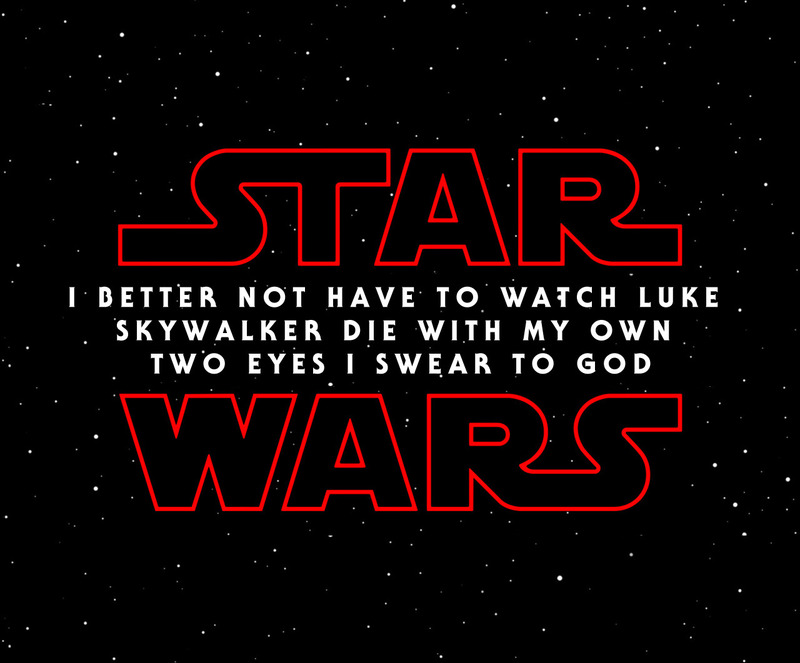 Surely that's an amalgamation of Kylo and Luke's voice? "He’s back: J.J. Abrams will replace Colin Trevorrow as director of ‘Star Wars: Episode IX’"
Ehhh, I can't say I'm surprised. I'm not expecting much from any of the future Disney Wars movies. It is a shame that Leia won't appear in the final movie. I must admit, I can't help but think it's a bit narrow minded. She doesn't need to be pivotal to any part of the film, but one would imagine that if the Skywalker Saga wraps up in the 9th film (as lucas always said, then denied he ever said, and then said he'd always said) there will be some "Return of the Jedi" style closing shot, and surely they could have slotted her in there with a minimum of effort/fuss. Or if they don't announce it and it happens, and we get genuinely surprised by a Star Wars movie for the first time in close to four decades. They don't want to include Leia in any scenes because there was a big outcry against it when Carrie Fisher passed away. That may not hold true in a few years when Star Wars 9 is being made. They could have Billie Lourd play Leia, and have nobody call attention to the fact that she looks suddenly younger. Or if someone does ask, she waves it away with "the Force works in mysterious ways". I believe that Todd Fisher, Carrie's brother, specifically stated that the family would oppose Disney's use of Carrie's image in any way post mortem in any production she was not a living part. The whole thing was very complicated and confused with Disney first saying that they were talking to Carrie's family about it and then Todd first vetoing the idea, then being cautiously accepting. Then Disney finally announced that they were not planning to do a Peter Cushing with her image. Mr Trevorrow's resignation appears to be an outworking of that confused situation. Well, they've got about 15 months or so to see sense. I'm still looking forward to seeing it, and in particular to seeing a very large number of people's expectations being thwarted. The previous film's trailer was a masterclass in misdirection, and I expect no less from the upcoming film. I dunno. 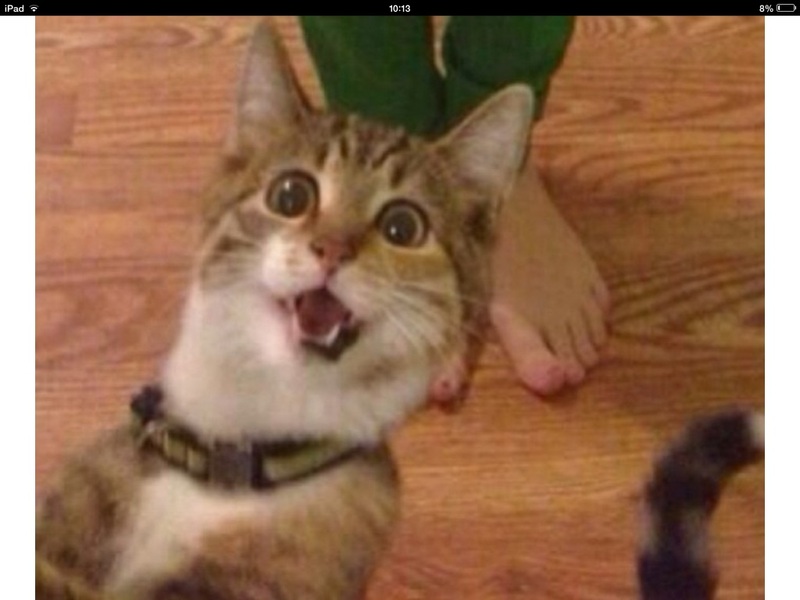 Maybe it's just the general depression I've been in but I just didn't get that excited about the trailer. I normally would eat up anything to do with Star Wars but I saw this and just went.. eh. I was more excited over the Rebels Season 4 trailer. Then again I like and am far more interested in the Rebels characters than any of this cast. I've never been a huge fan of the films, so I'm rather meh about the whole thing. But based on similarities between The Phantom Menace/A New Hope/The Force Returns and keeping those in mind, here are my predictions for The Last Jedi. - The Heroes will pursue some sort of droid. - A bounty hunter will show up. - Rubbish will be used in an attempt to decoy an attacker, but they'll see right through that, because no one would fall for that three times, right? - Someone will be unmasked. - C3PO will get dismantled, leaving R2D2 to try and reassemble him during a battle. - Someone will lose an arm, probably Rey or Kylo Ren. She'll get a robotic arm to replace it. Do you literally expect to be able to tick off your laundry list, or is just your wry expression of your low expectation of originality?